One of the ways for preventing diseases is the transfer of health information by educating the patients and encouraging them to search for related information. 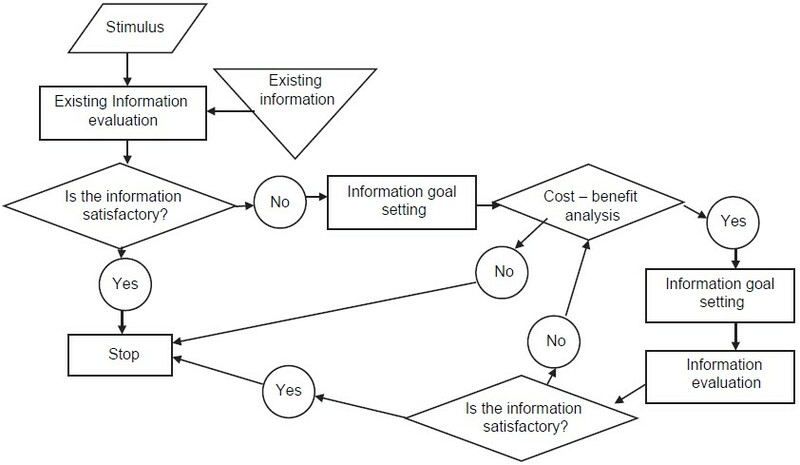 Knowledge of patient information seeking behavior can provide health and health information experts with valuable information used to improve the patients' health. Although due to the abundance of health information, it is easily possible to prevent some chronic diseases, many people lose their lives or suffer serious complications from these diseases due to lack of knowledge about prevention methods. Therefore informing people about the progress of these diseases and useful prevention methods is of outmost importance. Investigating the patients' information seeking behavior and identifying their information seeking patterns can provide us with useful strategies for effective transfer of information to the patients, thus improving the patients' self-management and prevent progression of their disease. The aim of the current study is to introduce models and theories related to information seeking behavior of patients. History has witnessed several civilizations and nations fall prey to bioterrorism. With the rise of new technology, more sophisticated weaponry is being instituted by nations worldwide. Countries spend significant revenue in research and development of their defense infrastructure. We take a look at the evolution of bioterrorism to its current state today. The data were collected from literature review of various online sources such as PubMed, EMBASE, Google scholar, UCLA, and USC libraries over a 2 years period in 2013 and 2014 at Los Angeles, California, USA. We discuss the historical aspects and preventive strategies of biological warfare. We characterize the various kinds of biological weapons and their role in spreading terrorism. In emergency situations where every second count, being equipped with management strategies for biological warfare will help in preventing further damage. This review aims at preparing the physicians for disaster management and disease control. Background: Acinetobacter baumannii is a common pathogen in intensive care units (ICUs) attended with higher mortality and morbidity, often with its sources and transmission dynamics remaining an enigma. Limited data on carriers of Acinetobacter species necessitated the present study. Objectives: The aim was to determine prevalence of carriers of Acinetobacter spp. And predisposing risk factors among healthy health care workers (HCWs) in ICUs and their role as source in nosocomial infections. Materials and Methods: Specimens from nose, throat, axilla and hands of all HCWs (82, [72 staff nurses and 10 attenders]) from ICUs and 50 (out of 400) from general wards were collected and processed by standard laboratory procedures. Temporal spatial association and Acinetobacter spp. with identical antibiogram type from carriers and cases was done to assess the role of carriers as sources. Fisher's exact test used for statistical analysis. Results: Prevalence of A. baumanii carriers was 14.63% (15.28% vs. 10%, P = 0.55 NS) in nurses and attenders. Higher in female than male HCWs (16.36% vs. 11.11% P = 0.39 NS). Carrier rate was 30% and 28.57% in surgical ICU and neonatal ICU respectively with none from critical care unit, intensive cardiac care unit and general wards. Carrier rate was 4.1% at hands, axilla and throat. Four antibiogram types of A. baumannii from carriers were associated with 46.88% (45/96) of nosocomial infections in ICUs during study period of 6 months. Carrier rate decreased to 4.87% (in repeat samples after 8 weeks) without new infection control practices due to decreasing in the exposure to the pathogen after eight carriers were shifted outside the ICUs for administrative reasons. Conclusions: A. baumanii carriers (HCWs) act as source/reservoirs for nosocomial infections. Constant exposure of HCWs to ICU environment and predisposing risk factors are associated with the acquisition of the carrier state. Aims: The management of leachate has become to one of the main focuses for the environment management. The aim of this study was a complementary treatment of leachate using sequencing batch reactor (SBR). Materials and Methods: A bioreactor was fed by effluent with 70-1360 mg/L chemical oxygen demand (COD) concentration. The values of pH and dissolved oxygen (DO) were monitored routinely. However, analysis of 5-days biochemical oxygen demand (BOD 5 ), COD, and total suspended solid (TSS) was done in feed and effluent whenever the system reached steady state twice a week for 280 days. Results: The pH values in the influent were 7.4-8.16 that increased slightly up to 8 in the effluent. 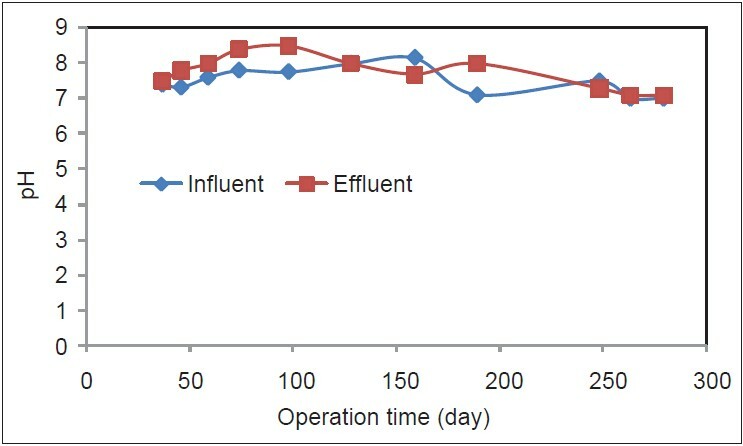 COD removal efficiency increased in bioreactor with time in all experiments up to 70%. The removal efficiency was 40-80% depending on the feeding values. TSS concentration in influent was ranged between 100 and 1860 mg/L that was decreased to 30-398 mg/L in the bioreactor effluent. In most cases, TSS values were below the standard limit. Conclusions: The acceptable performance of the SBR under different conditions suggests the promising capability of a full-scale, on-site SBR as efficient and versatile treatment system in handling the fluctuating nature of both the quantity and quality of composting leachate. Context: In crises, a lot of casualties and victims are referred to hospitals to receive health care services. Appropriate reaction to crises necessitates hospital readiness for such conditions. So, each hospital should have previously designed action plan for confronting the crises. 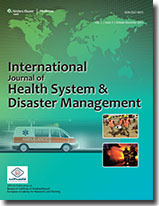 Aims: This study aimed to determine the hospital disaster preparedness in Tehran and identify lessons learned on disaster and mass casualty management system. Settings and Design: A mixed qualitative and quantitative approach in hospital settings. Methods and Material: This descriptive- sectional study was performed in the 2013-2014. 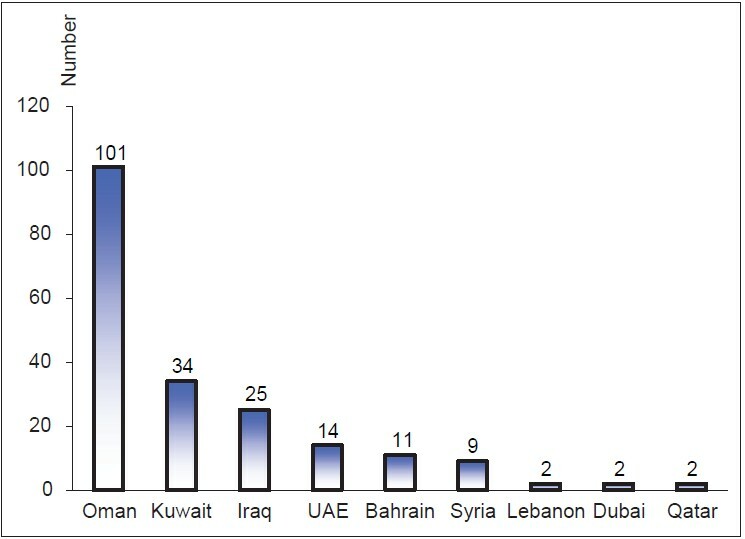 The 21 selected hospitals of Tehran comprised the study populations that were purposively selected. The Mass Casualty Disaster Plan Checklist was used for data collection. Also a part of data was gathered by focus group meetings with who were experienced. Statistical Analysis Used: The data analysis was performed using the IBM SPSS version 15 and ANOVA and Tukey tests. Results: The results showed that weakness of management and communications, structural problems, facility deficiencies, in appropriate organization of human resources, and budget inadequacy, were among the most important problems of hospitals in crisis. Conclusions: Hospital emergency incidence commanding systems is a standard system that can be used by all hospitals both in national and local levels. Using this system in hospitals, along with the systematic arrangement of human resources and exact distribution of managerial duties and developing a commanding unity can improve crisis management in hospitals. Background: In vector-borne diseases (VBDs) management; the effect of refresher trainings given to the staff of health training centers of the budding private medical colleges in India, has not been explored so far in Indian context and hence it becomes necessary to understand this area due to its future implications. Materials and Methods: A prospective training evaluation based study was carried out (on refresher training imparted of 6 days in every quarter) on the whole health training center's staff from July 1, 2013 to July 1, 2014 of two health training center's (rural and urban) attached to the private medical college in district Muzaffarnagar of India. Training responses in both pretraining and posttraining categories on knowledge, perceptions and practices were scaled, and these responses were tested for any significance by Chi-square test. Results: The basic qualifications and work experiences of health training center's staff were not sufficient enough to practice VBDs management in their area. 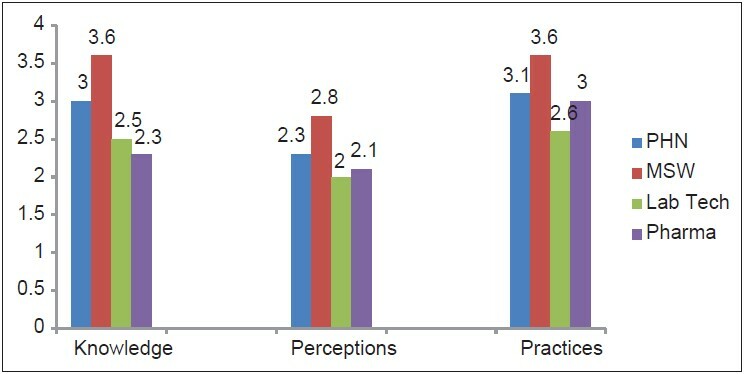 The differences in training scores on knowledge, perceptions and practices among both training center's staff existed (e.g. lab-technician-χ2 = 0.32 and 0.14, pharmacist-χ2 = 0.11, 0.32 and 0.75), but they were not significant in any category of staff (P > 0.05). Conclusions: Better qualified paramedical staff of health training centers in private medical colleges of India needs to be appointed and their refresher trainings also needs to be of high quality; in order to have their role in proper VBDs management practices in their area, so further research in this field is suggested in future, in order to get a better picture. Background: Nowadays, medical tourism and attracting foreign patients has been seriously considered by the ministry of health. Healthcare industry has faced the emergence of a global competition in the context of medical tourism. Shiraz is considered as a medical tourism hub in the South of Iran, even among the Persian Gulf states. The aim of this research was a study of medical tourism profile in Shiraz. Methods: In this cross-sectional study, 200 medical tourists referred to Shiraz selected hospital that were selected randomly entered the study within 6 months in 2012-2013. A valid and reliable questionnaire in English and Arabic languages was completed by medical tourists the collected data were analyzed using the software SPSS, version 15. Result: The results showed that most of them (50.5%) were form Oman, and they used operational ophthalmology services (45%) delivered in selected hospitals in Shiraz. Furthermore, most of their information sources about the services in the selected hospital were by medical tourism mediators or the translators (23%). Conclusion: Shiraz has a valuable competitive advantage including international popular and proficient specialists and physicians. Since Omanis patients were the largest number of foreign patients and hence this country has the potential to be one of the choices of the target market of medical tourism. Managing and using suitable informational sources and training and teaching translators capability in high communication skills and using experiences of traditional mediators, can develop the industry of tourism and attract tourist from different countries. Introduction: Disasters are traumatic events, which when experienced may result in a wide range of mental and physical health consequences. Information on mental health disorders among adolescents following natural disasters from developing countries is scant. Objective: The objective was to determine the prevalence of post-traumatic stress disorder (PTSD) among disaster-affected children in a high school in Uttarkashi district, Uttarakhand. Materials and Methods: This was a cross-sectional study, at a high school in Uttarkashi district, Uttarakhand between October and November 2013, 3 months after the disaster. Two hundred and sixty-eight adolescents participated in the study. Institutional ethical clearance was obtained. After obtaining consent from the principal and assent from the students, the Trauma Screening Questionnaire was administered to assess PTSD, and a structured questionnaire was used to ascertain the socio demographic variables. Results: The mean age of the study population was 14.48 with a standard deviation 0.87 years. Of all the adolescents, 166 (61.9%) were males, and 102 (38.1%) were females. The prevalence of probable PTSD was found to be 32.8% with a mean score being 4.3 with a standard deviation of 2.61. There were no statistically significant association between PTSD and specific socio demographic factors. Conclusion: Of all the adolescents studied, 32.8% continued to suffer from trauma-related stress disorder after 3 months of the disaster. As victims continue to suffer from stress disorder even after 3 months, the need for screening continues to be significant especially so when the mental health care has not been in place from the beginning along with other disaster-related support. The findings of the study highlight the need for recognition of post-disaster stress disorders and subsequently providing interventions in adolescent victims in developing countries. Introduction: Positive psychology is among the important topics in health psychology and can be used to effectively improve the people's behaviors and practices when faced with a crisis or difficult situation. This study aims investigate the place of positive psychology in studies related to accidents and disasters and its role in proper dealing with these situations. Materials and Methods: This study is a narrative review carried out by searching for related articles on credible scientific websites, scientific books, research articles, research projects and dissertations. Information on databases such as Web of Science, Google Scholar, PubMed and Science Direct between years 1979 and 2014 was reviewed for related information. In total 70 English articles and 17 Farsi articles were found using the aforementioned methods. The information gathered from these articles were categorized and investigated. Results: Summarizing the information on the role of positive psychology in disasters showed that little attention was paid to the roles of positive psychology, especially among Farsi article, and that most studies concentrated on the psychological disorders present after the disaster. Furthermore, most of the articles about positive psychology were reviews with weak methodology and limited scopes. However, their results showed that people with positive thinking have several different characteristics that help them deal with difficult situations and disasters easier than other people. Conclusion: Despite the importance and role of positive psychology on different aspects of our daily lives, the effect of this topic during disasters and crisis has been neglected. People with positive thinking have several characteristics that make it easier for them to deal with difficult and disastrous situation compared to other people that should be considered when dealing with disasters. Aim: The aim of this study is to assess the importance of nutrition in a disaster and to explore the different interventions by which nutrition of people can be maintained. Materials and Methods: An extensive search of all materials related to the topic was made using library sources including PubMed, Medline and World Health Organization. Keywords used in the search include disaster, nutrition, micronutrients, and public health. Results: The nutritional status of an individual is one of the key determinants for the growth, development and survival of an individual. In some of the special circumstances (viz., natural/man-made disaster), nutrition assumes significant importance as the required resources may be different and limited. In absence of timely implementation of the preventive measures, significant rise in the incidence of malnutrition, all forms of vitamin and micronutrient deficiency, low birth weight, infectious disease, adoption of anti-nutritional measures, and mortality has been observed. Conclusion: The nutrition during a disaster situation is not merely providing a "feed," but it involves anticipating, preparing and training for disaster beforehand; assessing the disaster situation in terms of impact, demography and resources; making an immaculate plan; implementing the plan and learn from the mistakes.